SIDNEY CONDO FOR SALE (pending SOLD With Ann Watley). Sidney Pre-construction Meridian Residences Condos. 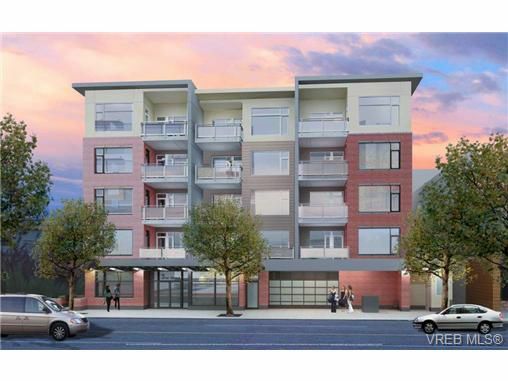 2 Bedrooms + 2 Bathrooms: 1121 sq. ft. of Condo Living. SIDNEY REAL ESTATE SALES View the presentation centre located at 9808 Seaport Place: Open Tuesdays through to Sundays from 11 a.m. to 3 p.m. Call Ann: (250) 656-0131. Other two bedroom condominiums for sale in the Meridian Residences include # 505 @ $519,000, # 504 @ $499,900, # 204 @ $444,900, and # 405 @ $419,900, One bedroom Condos are also available: # 406 @ $339,900 and # 306 @ $329,900. The two bedroom condominiums for sale in the Meridian Residences have all been SOLD; One bedroom Condos available are # 506 (PH) @$374,900, # 203 @ $359,900, # 503 (PH) @354,900, # 406 @ $339,900, # 306 @ $329,900 and # 303 @ $309,900. (funds in Canadian dollars). Other Two Bedroom Condos that have been sold include:# 505 (PH), # 504 (PH), # 502 (PH), # 405, # 305, # 304, # 204 and # 201. The one bedroom condominium SOLD with Ann is # 403. The Meridian Residences have are 75% SOLD - LATEST NEWS !!! The Developer is about to break ground on this exciting project: On TARGET for the completion slated for September 2016.